Requires LANforge 5.3.2 or later on Fedora 20 or later. 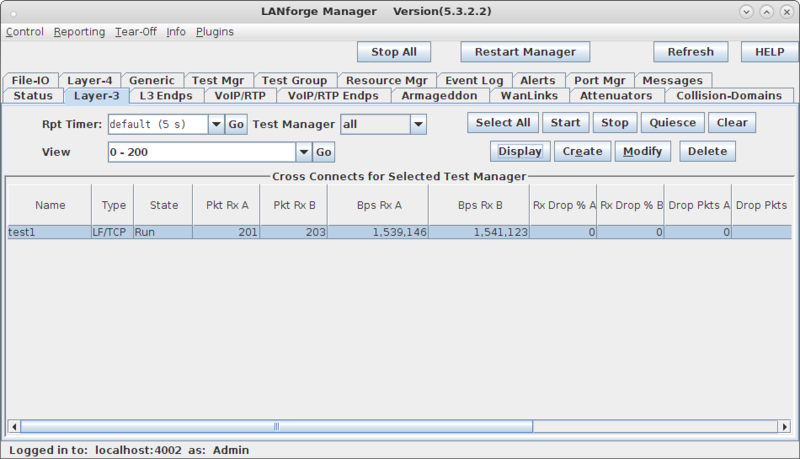 Run LANforge install script to begin setup of HotSpot 2.0 R2 related servers and certificates. Configure the OSU Server-only authenticated layer-2 Encryption Network (OSEN) AP and Passpoint AP. Initiate Online Sign-Up (OSU) procedure, select a provider and obtain an IP address from the Passpoint AP. Send traffic through the Service Provider Network. This is an all-in-one example on a single LANforge system, but if the authentication servers were setup on different systems, the proper certificates would need to be copied instead. Create two MAC-VLANs for two hostapd RADIUS server instances. Go to the Port Manager tab, select eth1, select Create, select MAC-VLAN, quantity 2 then Apply. Because this is an all-in-one example, the hostapd RADIUS servers will be referenced to localhost and each MAC-VLAN interface will not need an IP address assigned. If the hostapd RADIUS servers were on different systems or networks, the appropriate IP address would be assigned here. /home/lanforge/wifi/hostapd_eth1#0.conf for the hostapd RADIUS server on eth1#0. NOTE: The eap_user_file, eap_sim_db and radius_server_auth_port are unique for each RADIUS server. /home/lanforge/wifi/hostapd_eth1#1.conf for the hostapd RADIUS server on eth1#1. NOTE: If the hlr_auc_gw does not start, you may have to remove the file /tmp/hlr_auc_gw.sock first. 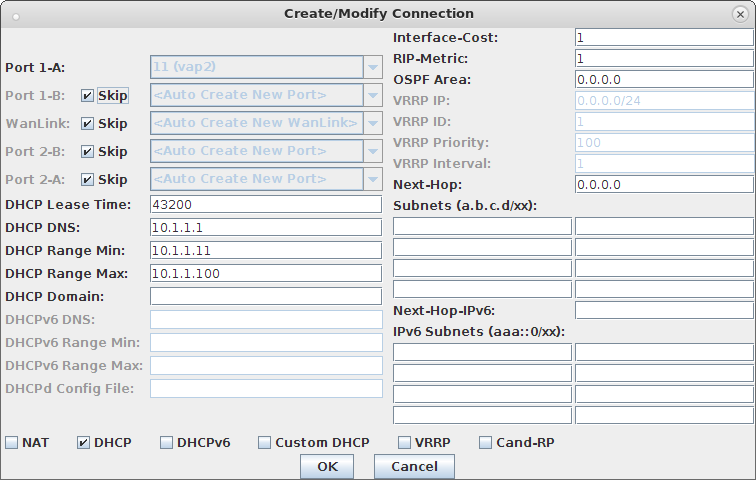 Create two VAPs for the HotSpot 2.0 Release 2 Network. Go to the Port Mgr tab and create one VAP on wiphy0 and one VAP on wiphy1. Modify the first VAP on wiphy0 to be the OSEN AP. Configure IP Address and SSID. Select the Advanced Configuration tab in the Port-Modify window to configure 802.1x and RADIUS server information. Select the Custom WiFi tab to add the following lines for HotSpot 2.0 Release 2. Modify the second VAP on wiphy1 to be the Passpoint AP. Configure IP Address and SSID. Select the Advanced Configuration tab in the Port-Modify window to configure 802.1x, 802.1u, HotSpot 2.0, RADIUS server and other information. Modify wiphy0 and wiphy1 to be on the same channel and select OK. 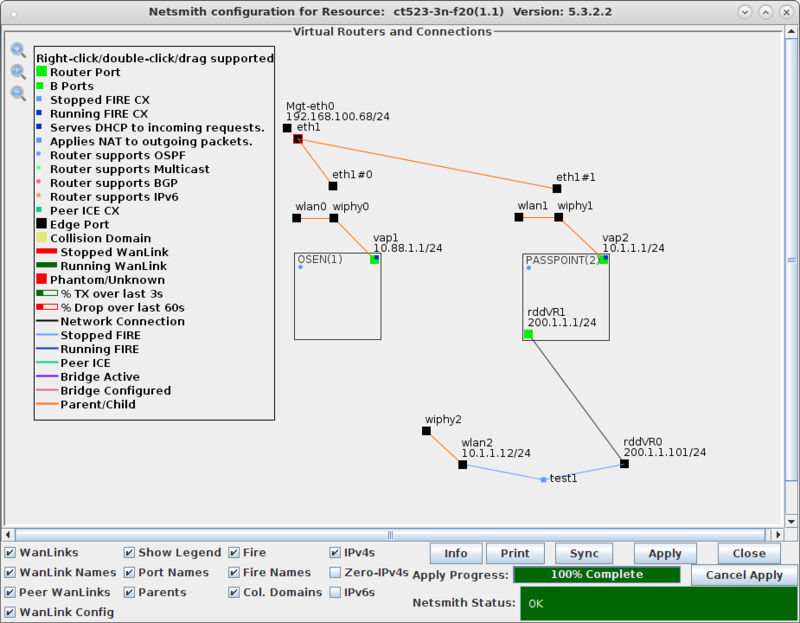 In Netsmith, setup each VAP with DHCP Service on different IP networks. Start the Online Certificate Status Protocol (OCSP) script which will restart the OCSP Responder and update the cache once per minute. 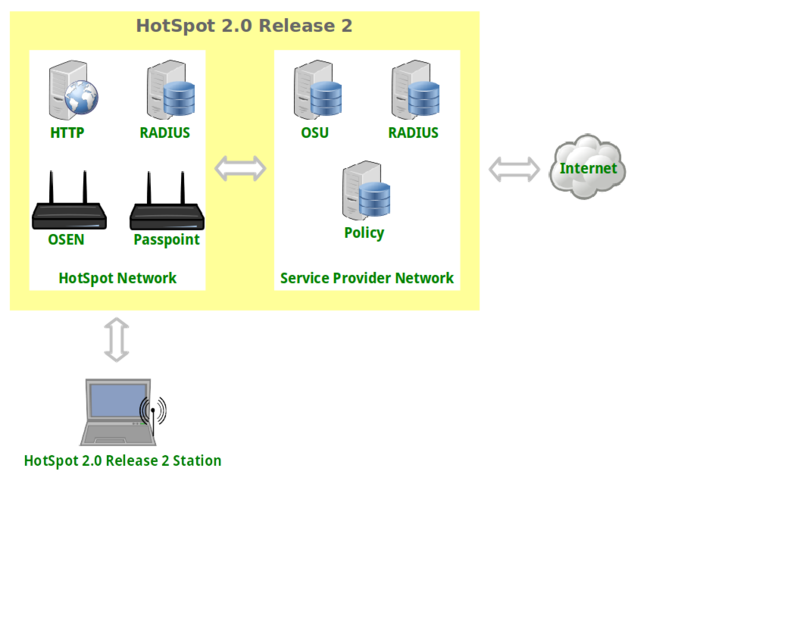 It is only required on the VAP or server side of a HotSpot 2.0 R2 network. In Netsmith, we can label the two Virtual Routers containing each VAP. We also setup a single TCP connection named 'test1' between the client (wlan2) and a virtual interface connected to the Passpoint AP. In this way, we can verify that the client is only allowed to pass traffic once it has met the authentication requirements for the HotSpot and Service Provider Networks. 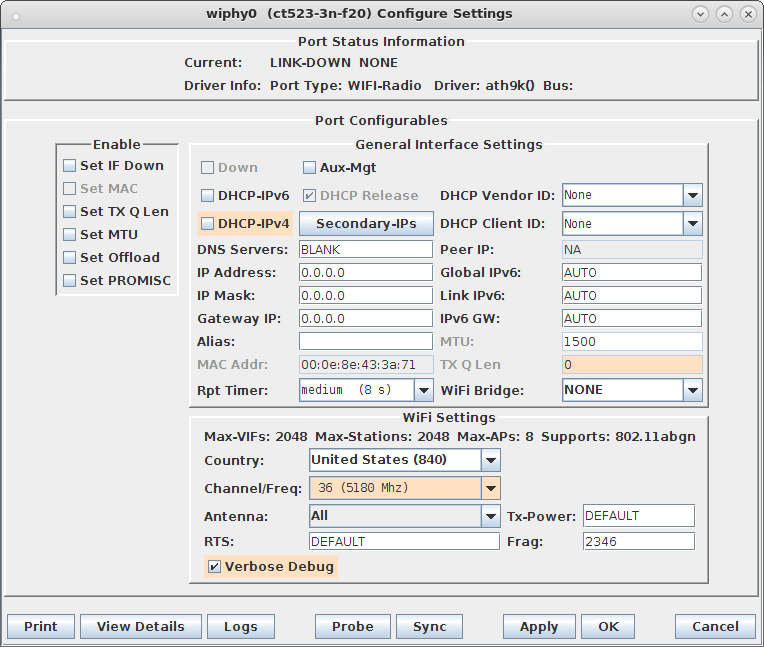 Setup wlan2 as the HotSpot 2.0 R2 client. Modify wlan2 on the Port Mgr tab and set the SSID to the OSEN AP's SSID 'ABCD-1234' in this example and set the authentication to OSEN. In wlan2 Advanced WiFi Settings, select Advanced/802.1x, set Key Management, EAP Identity and CA Cert File. In wlan2 Misc Configuration, set OCSP to Required. Admin up wlan2 and it will associate with the OSEN AP and obtain an IP address on the OSEN AP IP network. Select 'LANforge HS20 Operator' from the Service Provider List. Select 'Sign up for free access' from the Online Sign-Up page. Select the Accept button to complete the Online Sign-Up. Client wlan2 will obtain an IP address on the Passpoint AP IP network and TCP connection 'test1' can now pass traffic. 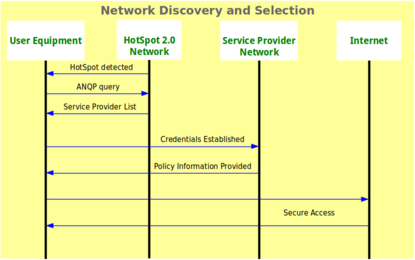 If wlan2 is reset or reassociates with the OSEN AP, you will have to remove the Service Provider (SP) directory before attempting the Online Sign-Up again.